Thanks to Twitter and other social media, for many of us Thursday has become known as Throwback Thursday. I typically dig up some old pictures and post them on Facebook on Thursdays. And by old pictures I mean, of course, incredibly flattering pictures of me in my prime. Can I help it if those are the pictures that surface? Recently I was digging through some old boxes looking for more fodder, and I came across a bunch of papers I wrote for grad school. One in particular caught my eye, and just for the heck of it I flipped through it. The paper was a case study I did of a local business. The year was 1989. The case study was about a computer. If you watch Mad Men, you know that the agency brought in a big old mainframe that literally drove one poor guy insane. This was the next generation. A single, standalone, desktop computer. The business was studying whether it made sense to bring in a computer; might it make things more efficient? 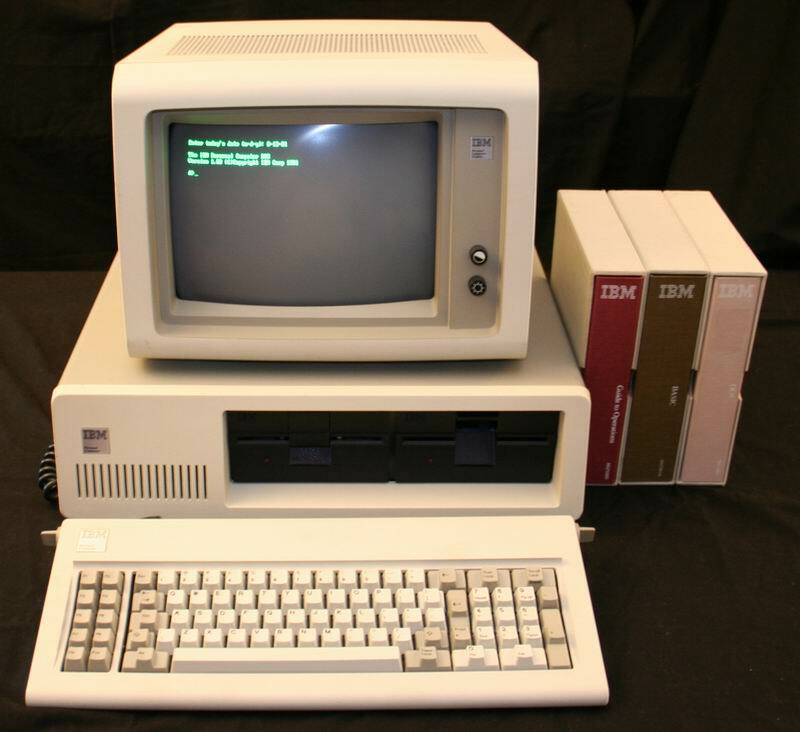 Remember, this was a time when most of us were still carrying around big floppy disks and going to a computer lab to use spreadsheet software called Lotus 1-2-3. It could add numbers! Subtract them! Calculate means and medians and other cool stuff. Granted, Dan was in desktop publishing and had a Mac back then, a revolutionary contraption with a mouse and a serious graphic interface. He had something called Word and something else called Excel. 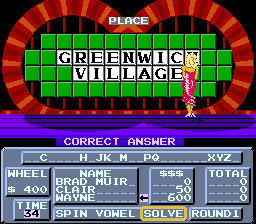 And a Wheel of Fortune game that looked pretty good even by today’s standards. I mean, Vanna turned letters and clapped and someone yelled “Big Money!” when you put the wheel in motion. Pat Sajak even walked back and forth. Kinda like this, but not in color! 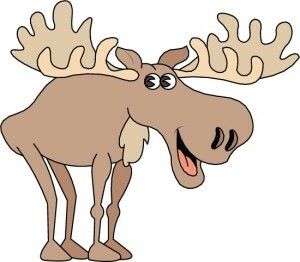 There was also a playful moose. I guess it was an early version of the reviled MS Office Assistant; a moose who would peer out from the top of the screen and talk to you. Knowing my propensity to become distracted when I was supposed to be working on a paper, Dan programmed the moose to pop up and say things like “Jill, stop playing Wheel of Fortune and get back to work!” That damn moose had uncanny timing, so it was a little creepy. But I seriously digress. The business world was still largely DOS based and we were navigating via arrow and F2 keys and such. And my case study focused on this one, $2,000 computer purchase. The paper was due before the company ever got around to making a decision, so the case study was incomplete. I wrapped it up with a bunch of BS and conjecture. I’m not sure what they ended up doing because I spent a lot more time distracted by Wheel of Fortune. And, uh, my other studies. But imagine that I got a 40 page (double spaced of course!) case study out of that one decision. I interviewed executives who were having endless meetings over this critical purchase. Who could have guessed about things to come like cell phones and the interwebs and the blogosphere and Facebook and Throwback Thursday? Who could have known that maxi dresses and platform shoes would come back in style? That kale would become an actual food product rather than just an icky garnish? And now it’s 2014 and there are kale chips and kale salads and maxi dresses hanging in my closet and my mom is on Facebook. Or did I already cover that? This entry was posted in Uncategorized and tagged Business, Culture, Imagination, Middle Age, Social Media, Technology. Bookmark the permalink. Oh Pam. There’s enough room in your heart for both electronics and really cute shoes. I just know there is, I have faith! Ahh, the good old Tandy, right? That was pretty cutting edge! When I first got out of grad school a Dell 286 was state of the art, and it couldn’t do a fraction of what smart phones do now. Pretty amazing! My first desktop was a 286! I should add that the first computer I ever used in a work setting was a 8088 that had to be booted up with two floppy disks . . . those were the days! I took Basic my first semester of college. We spent the entire semester writing a single if/then statement. Imagine! And now MySpace is making a run to regain its audience…tie dyed jeans anyone?